My wife and I bought a 2018 GLE in December and had a great experience with Tony as our sales person. Yesterday (April 3), my wife was on her way to work and a number of warning lights came up on her dashboard. They were significant enough that she was concerned about driving the vehicle but said it seemed to be operating properly. I immediately contacted Andrew Kay in service and he provided me his cell hone number so I could sent him video of the messages that were scrolling on the screen. We later involved Tony, and together, Andrew and Tony arranged within a very short time frame to have a replacement vehicle driven to my wife's workplace which is 35km outside of London and drove her vehicle back to the dealership to be repaired. This sort of service is what dealerships should strive to provide and I can say from experience that this service far surpasses the service we've received from another German brand dealership in town. 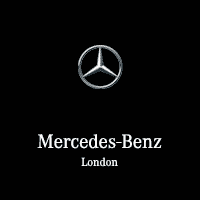 I have visited Mercedes London three times and Andrew has helped me every time. I have never experienced better customer service in my life. Andrew is definitely the best Service Advisor I have ever dealt with. The service was amazing and within a reasonable timeframe. We recently purchased our fifth Mercedes from Mercedes Benz London. As always we were treated with the highest professionalism and respect. Rob and his team truly value the relationship with their customer and will go above and beyond to maintain it. Many thanks to the whole team. It was a no brainer to purchase my car through Charbel. I had mentioned to him what I was looking for and as soon as he came across my dream car, he contacted me. He took care of all the details for me and was just as excited as I was about my new car! He had an answer to every question I asked and followed through on his word no matter what. The cherry on top was how enthusiastically he watched my daughter while I completed all the paperwork. This was a stress free transaction and I love my car! Excellent experience at Mercedes Benz London. Tony was helpful, knowledgeable, and most importantly got me into a car I absolutely love! My second purchase from Mercedes Benz London and Tony made it very easy! He is knowledgeable and helpful. But most importantly got me into a car I love!! My recent purchase of an SL550 was as close to a pain-free car purchase as one could want. Thanks, Warren Cunningham and the staff at MBLondon. The service is fantastic and having a car returned cleaner than it went in is a first for me. Andrew the service manager is a pleasure to talk too and has a great sense of humour, and is extremely knowledgeable.